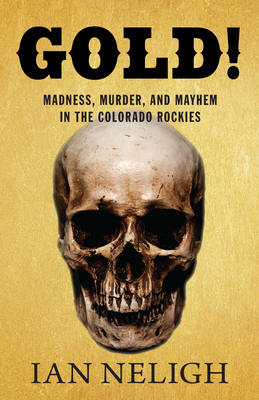 Gold brings together the story of this metal's glittering legacy in the Centennial State and the madness, murder, and mayhem that came along with it. The book examines the rich history of the miners and treasure hunters who came to face danger and hardships in the unforgiving Rocky Mountains. This story is unique in that it takes a look at the phenomenon of gold, the treasure hunters, both modern and historic, and brings them to life in a detailed and sharp narrative. Author Ian Neligh spent a year meeting with experts and enthusiasts, hearing their stories and trying to understand why it is they continue to do what they do--often in the face of extreme hardship. Modern-day gold miners profiled include Al Mosch, Bill Chapman, Ken Reid, and Chad Watkins. Gold is the story of an unusual subculture on the rise in the mountains of Colorado fueled by a delicate balance of hope, greed, and loss. It tells the story of men mostly forgotten by the world as they go in endless pursuit of an impossible fortune. It follows miners working their small, dangerous gold claims in mines over a hundred years old, to modern-day prospectors trying to strike it rich and counterbalance the weight of a struggling economy. The book also examines if those who spend their lives in search of riches--ever actually strike it rich. Ian Neligh is the editor of the Clear Creek Courant newspaper, located in Idaho Springs, the town where the Colorado gold rush first began. He has won many state and national journalism awards for his writing and reporting including first place for online in-depth reporting from the Society of Professional Journalists, first place for investigative reporting from the Colorado Press Association, and numerous others.